This week we chat to Elfyn, his advice is to read as much as you can about the subject that you are passionate about and to learn skills such as using electronic data loggers, navigation equipment like handheld GPS devices and communication skills. Actually my career was entirely different. My first real job was as a Zoo Keeper at Chester Zoo looking after a variety of animals. Following that I was a police officer for 30 years up until my retirement. I firstly became interested in nature when I was in my teens particularly birds and mammals. My interest and involvement with marine conservation didn’t really take off until I was in my early 50’s. It just goes to prove that it’s never too late to pursue another interest! Of course when I was growing up I remember watching on television the likes of the amazing French marine biologist Jaques Cousteau who inspired many people of my generation. I haven’t got a degree in marine sciences, in fact I haven’t got a degree at all! 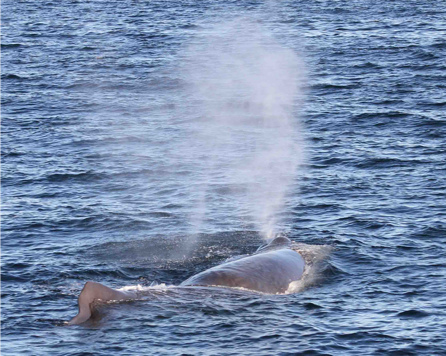 But I have done various courses relating to cetacean and seabird ID and biology and that has helped me a great deal and encouraged me to study and read vast amounts of literature on marine life particulary whales, dolphins and porpoises. In many ways I am ‘self-taught’. It has been quite a learning curve! Also I have discovered that networking and communicating with people or organisations involved with marine science and conservation has proved extremely valuable in my career development. (I use the word ‘career’ loosely as it’s been more of a ‘journey’ than a career). I started off by going on dedicated whale-watching trips from Britain across the Bay of Biscay to Spain as a fee-paying guest. These trips were operated by a Shetland based company. After taking part in a number of these trips I was offered a part time job as a paid guide by the owner of the company and it so happened that he was also a founding member of the marine conservation charity ‘ORCA’. Sadly that job as a paid guide was short lived as the ship on which they were running the trips was taken out of commission. I then completed an ORCA Marine Mammal Surveyor course and following that I just got out on the water doing surveys as much as I could. I was then lucky enough to work as a volunteer wildlife officer on a couple of regular ferry routes plying the North Sea and the Bay of Biscay basically to cover for employed wildlife officers who were on temporary leave etc. 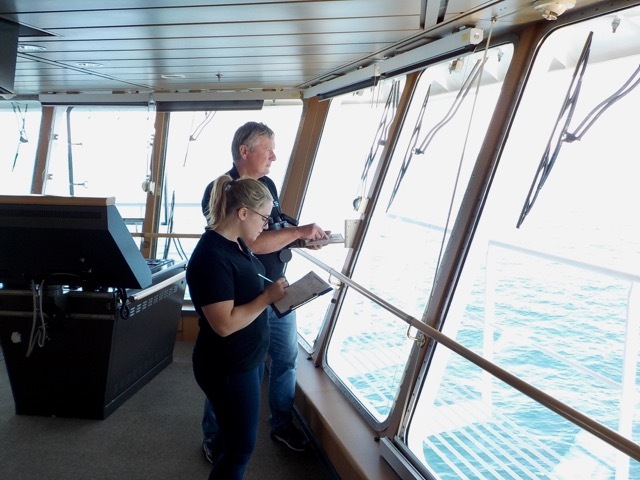 The role entailed delivering power-point presentations to the ship’s passengers and doing dedicated deck watches showing them marine mammals. I had never done anything like that before. In many ways, I was thrown in at the deep end and it was a steep learning curve it was a really enjoyable role which gave me a lot of confidence in people engagement. I’m really enjoy being out on the open deck of a ship looking out for birds and marine life and engaging, inspiring and educating people about marine animals and their habitats. Yes absolutely. I have a serious passion for marine conservation and if you speak with passion and commitment about it then you can really inspire people of all ages. If you can only get one person to change their lifestyle for the benefit of wildlife, the eco-system and the marine environment then you will have made a difference and I feel that I have inspired scores of people. It is of course great to get feedback from people with regard to that and someone actually once said to me that I had changed their life! Wow I really felt quite proud at that moment and I felt that I had achieved something positive. 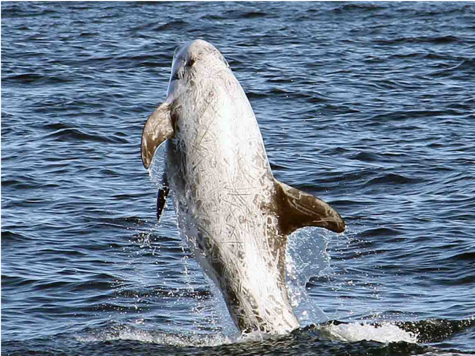 I am 65 yrs old now and I have learnt so much about wildlife throughout my life and particularly about marine life. In Wales where I live we are blessed with a long and spectacular coastline and our surrounding seas are rich in marine life particularly cetaceans and it wasn’t really until relatively recently that I became aware of this richness. I wish that I had known about it in my youth. Well the most obvious and basic skill is ‘reading’. It is important to read as much as you can about the subject that you are passionate about and tutoring about to others. Out of necessity too I have also improved my communication skills because I am naturally a shy and retiring person. I have learnt so much from the amazing people I have met in my life. Also a lot of my generation wasn’t really good at technology and as we know this has grown at an incredible pace in just a few decades. I have had to learn new skills in relation to using computers, electronic data loggers, navigation equipment like handheld GPS devices and communicating via various social media networks like, Twitter, Facebook, WhatsApp. Etc. Study hard to attain a degree in a Marine Science. Do a PADI scuba diving course. Do an RYA ‘Level 2 Powerboat’ course at a recognised establishment. 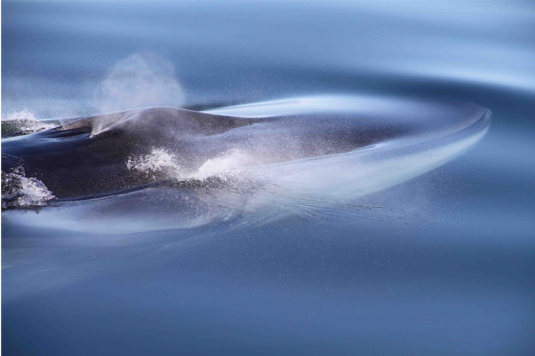 Volunteer for a number of selected marine conservation organisations and take part in land-based or boat-based surveys for marine mammals. Study hard and learn as much as you can about the subject. There is a plethora of information out there on the web. ‘Network’ – get to meet as many experts and scientists in the marine conservation field as possible. Some might even be able to help you develop your career. This is quite a hard question to answer as many marine animals are so fascinating. Probably if I was to narrow it down to a particular animal then it would have to be orcas or killer whales because they are ‘apex’ predators right up there at the top of the food chain. They are highly intelligent and sentient animals. Their social lives are so incredibly intricate and in many ways so very much like our own society. They never cease to amaze me and seeing a pod of orcas is always a great thrill. 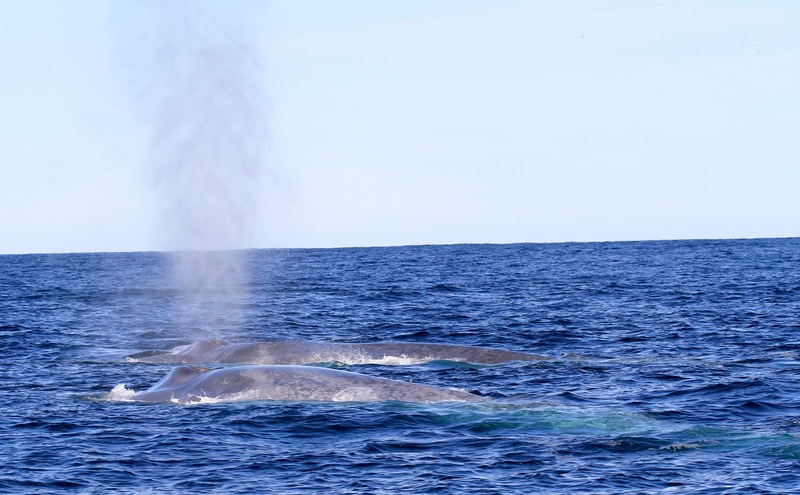 Being in a small RIB boat and a huge blue whale surfaced just feet away. The exhalation of stale air from its lungs as it ‘blew’ startled me! It then sucked in air into its huge lungs which created an amazing sound. You could literally have dropped a child into one of it’s ‘blowholes’ or nostril. After that initial appearance of the animal you get a long, blue-grey rolling body which never seems to end and then you see a tiny dorsal fin for the size of the animal and finally it lifts it’s huge 20ft wide tail flukes out of the sea with water cascading off the trailing edge before the animal disappears into the deep to continue foraging for food which in the case of the blue whale is generally ‘krill’. To see the largest animal that ever existed on Earth is the most exciting wildlife experience that can ever happen to you. Thank you Elfyn, it just goes to show it is never too late to get involved in marine education! Don’t forget to sign up to our weekly job alert emails and keep an eye on our Wise Work pages so you don’t miss your dream opportunity in marine conservation.